Black History month isn't solely about museums - or history. Across the District and the region, libraries, department stores and, yes, historical sites are presenting new facets of African-American life in places that you might find yourself on any February day. And it's not to late to participate. Here are five of our picks for great places to celebrate, learn and discover more about Black History Month. 1) The American History Museum is hosting events almost every day of Black History Month, including interactive forums and performances for children and families. For the month of February many educational events are offered free to the public, including simulations of the sit-ins in Greensboro, N.C. and walking tours highlighting African American art. Hours: 10 a.m. – 5:30p.m. 2) George Washington’s Mount Vernon Estate will offer special tours during the month of February examining the contributions of the slaves who lived and worked on George and Martha Washington’s plantation. These tours offer a look inside the refurbished slave quarters, which include reproduced cooking utensils, clothes and furniture. Tickets are $15 for adults and $7 for children. 3) Although Frederick Douglass traveled around the country and even the world, he eventually settled in D.C. to contribute to politics. 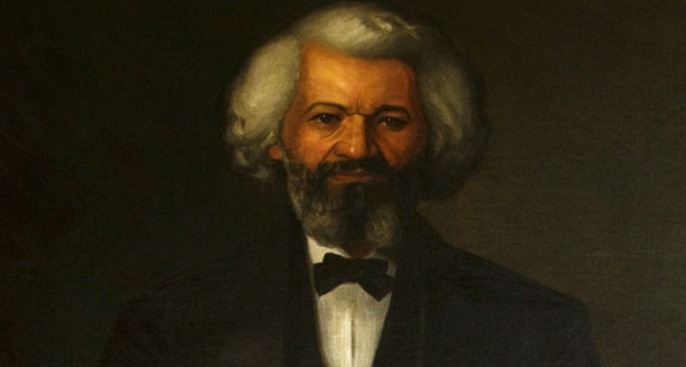 His home still stands in Southeast D.C. and is now the Frederick Douglass National Historical Site. Tours are available free of charge for families and large groups every day from 9 a.m. to 4 p.m.
4) While most libraries might feature a shelf or two of books by African American authors during the month of February, the Capitol View Library offers a more interactive program. Located off of Capitol Street in D.C., Capitol View Library offers activities ranging from lectures to films to craft activities for children. Some highlights include a lecture series by historian C. R. Gibbs (Feb. 25 at 6:30 p.m.) and screenings of "Nat Turner: A Troublesome Party" and "Glory" (Feb. 25 at 4 p.m.). All events are free to the public; for more information check out the Capitol View Library website. Hours: Mon, Wed 1 p.m- 9p.m. and Tue, Thu-Sat 9:30 a.m.-5:30 p.m.
5) Macy's is celebrating Black History Month at its Metro Center location by showing the works of Gordon Parks, the first African American photographer for LIFE magazine. On Feb. 21 at 5:30 p.m. join a special event to celebrate his 100th birthday. Macy's will honor his contributions and influence to the arts with a discussion with WJLA's Cynne Simpson, and actors Lamman Rucker and Malik Yoba on the future of black cinema.